I was recently blessed by my friend, Beth Jones, with a wonderful review of my novel, To Dance Once More. So I asked Beth to send me one of her books to read and review. She sent me The Hands Of A Woman: Everyday Women In Everyday Battles. Wow! This book is amazing! Before I get into the review, let me tell you a little bit about Beth. I “met” Beth while doing an online homeschool webinar last year. She and I discovered quickly that we had many things in common and since then have chatted via email and Facebook quite often. She has such a heart for the Lord and I believe you’ll love her as I do and feel a kindred spirit with her instantly. Who is Beth? She is a speaker and author, who helps busy Christian women to fulfill their life purpose, using their gifts, talents, and skills for God’s glory. Her products and services are designed with the on-the-go wife and mom in mind, and empower them to have fulfilling, successful lives through daily prayer and through pursuing their passion. Beth is a wife and a mom. She is a graduate of CLASServices’ professional speakers and writers’ training and has a B.A. seminary degree in Christian Counseling from Jacksonville, FL. She has a deep thirst to learn and grow in her daily relationship with God and from passionate, successful mentors. 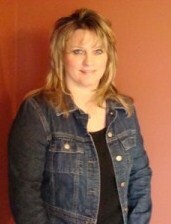 She attends and is a member of Life Christian Center Church in Lee’s Summit, MO. 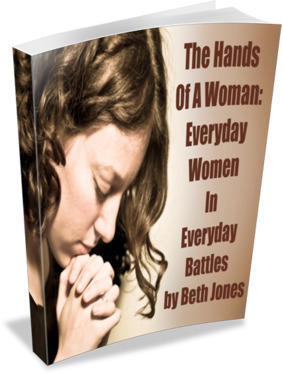 Beth’s tagline for the book is: Fighting daily on your knees in prayer ~ Because neutral isn’t an option. Boy, isn’t that the truth? Women, we’ve got to keep our eyes open to the things of this world – of Satan – that are trying to destroy us and our families! Beth starts this book off with an introduction of warfare written by her husband, Ray, who has served in the military for years. Beth’s goal was to make sure we women understood exactly what warfare is. I won’t give away Ray’s points on warfare and how to fight it effectively. You’ll have to read it yourself. One thing Ray said stuck with me. He said, “A well-armed but hungry army does not fight well. Neither does a well-fed, unarmed army.” When you think of that saying in terms of spiritual warfare, that’s big. We have to be well-armed with the Word of God and full of it! Armed with the complete Armor of God. Bits and pieces of it won’t do. If we’re going to fight spiritual battles, we need it all! Beth talks about Deborah, the judge, and Jael, the stay-at-home mom, who knew how to protect her family from the enemy, and encourages us to be ready to fight the battle against Satan and to win our homes and our world for the Lord. We are mighty warriors. This book is full of testimonials by Godly women who have faced challenges and who have learned to overcome them with God’s help. These stories talk about panic attacks, fear, physical illness, depression, recovering from wrong decisions, dealing with the loss of loved ones, and other tragic circumstances. Some of the stories even deal with situations like jobs and churches that may not necessarily be bad but they may not be God’s BEST for you. If you have ever been in a job or a church where things just didn’t seem right and you couldn’t put your finger on it, this book will help you. Beth applies scripture to each and every one of these difficult situations and points you straight to Christ. She has done an awesome job of putting together a book that deals with every basic emotion a woman can feel and then guides you gently toward the Savior for healing. Beth speaks very candidly about spiritual warfare. If you don’t believe it exists, you will once you’ve read this book. How do we move past spiritual warfare and the relentless attack from the enemy? See it for what it is and then seek the Lord. Praying and bathing yourself in scripture are just two of the things you can do to bring yourself closer to God. Fasting is another thing. Surrounding yourself with other believers is yet another. Beth explains these steps in a way that anyone can understand them. She makes it easy to strip away the things that we hang onto – the things that block God’s place as number ONE in our lives. That’s where He belongs and after reading this book, I see that that is the only place I want Him to be and I certainly do not want to place myself on the throne of my life.